Fore! Father’s Day is this weekend, and there may just be a good chance that, like my dad, your dad likes his time on the links. This weekend we celebrated Father’s Day early for my dad at my sister & bro-in-law’s house. The theme? 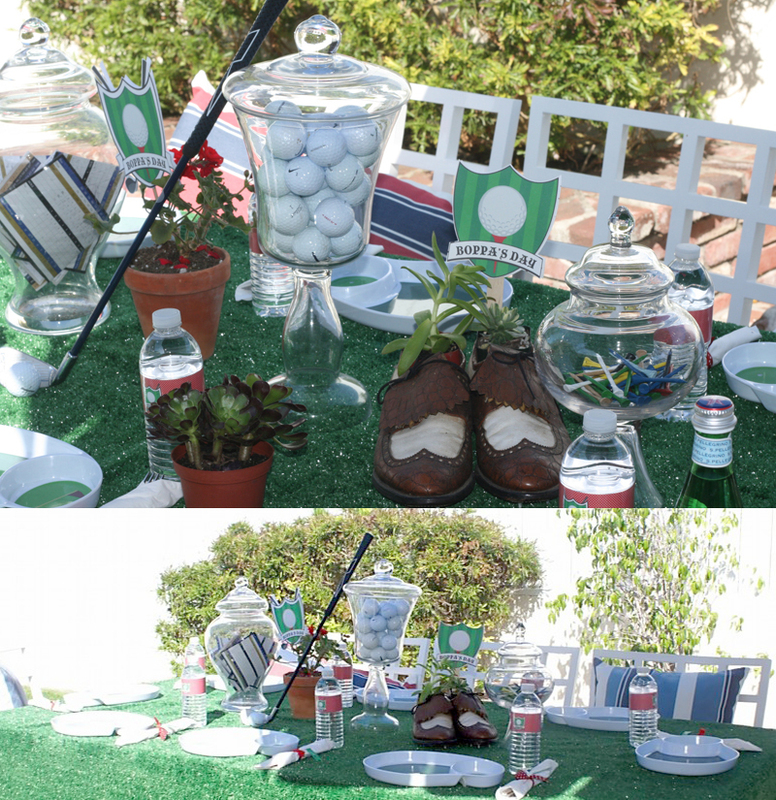 A no-brainer for a golfing fool like “Boppa” – Golf. 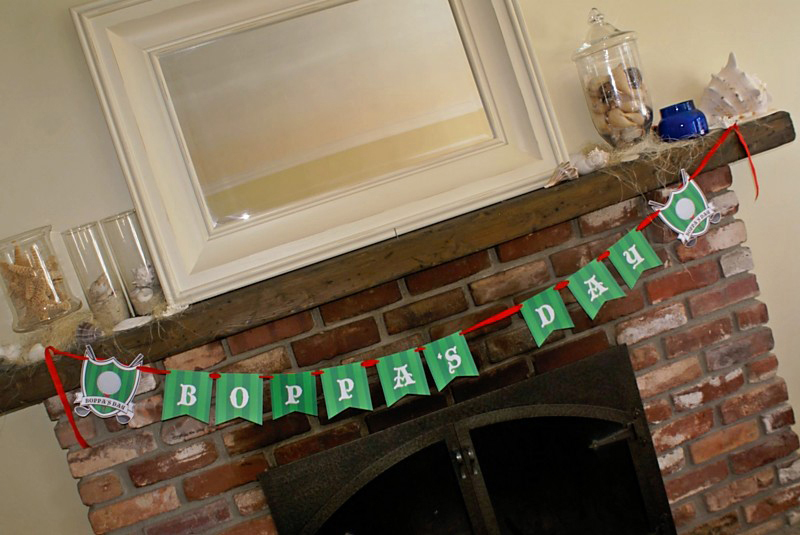 My son named my dad “Boppa” so we re-named the day “Boppa’s Day.” We used astroturf as a tablecloth, put golf balls, tees, and score cards into apothecary jars, and put golf shoes and my son’s mini golf club on the table as well. 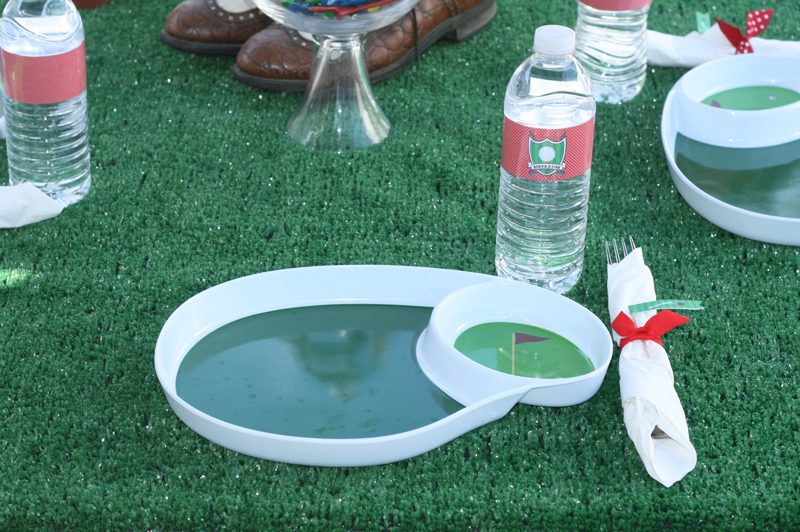 Not surprisingly, my mom had those golf plates in her party stash for some reason. They were perfect for the occasion. Check out those mini golf clubs below by the front door. Those were my husband’s when he was a little guy! I love that my in-laws kept them for our sons! So cute! 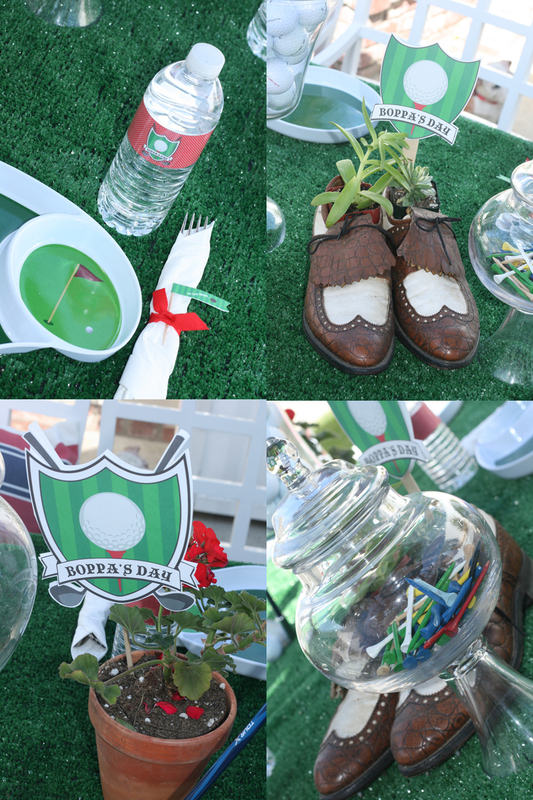 It was such a great celebration for such an amazing dad. There is a Chris Rock special I remember watching where he says how ladies get it all for holidays like this… jewelry, candy, flowers. And what do guys/father’s get? “The big piece of chicken.” Hysterical, right? I loved that because it’s so true. So many times guys just get the shaft when it comes to being celebrated. This year we made sure that my dad not only got “the big piece of chicken” but that he realized how very much we love him. The only shaft here was a golf shaft! We had a blast and my sister & my bro-in-law made the best dinner for us. (Thank you both for doing all the hard work!) I’m still dreaming about it. 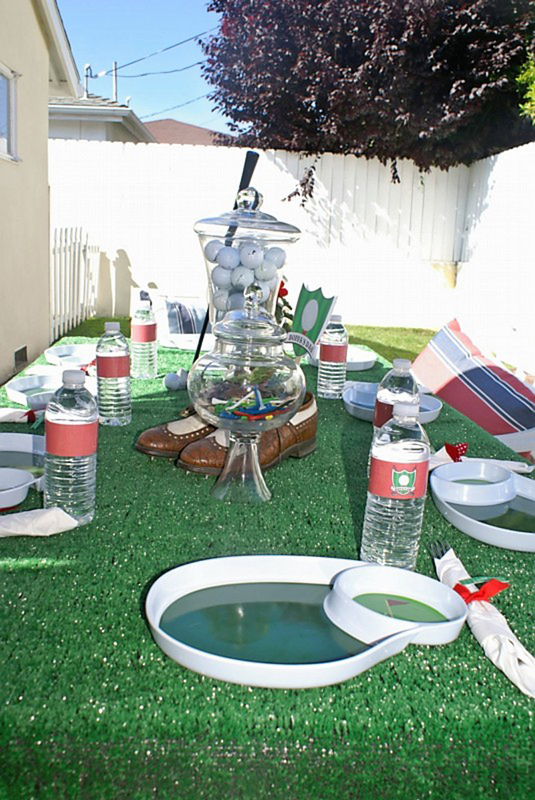 This entry was posted in parties for grown ups and tagged astroturf on tablescape, father's day golf party, father's day ideas, father's day party, golf party, golf theme party, sport party by Annika. Bookmark the permalink.